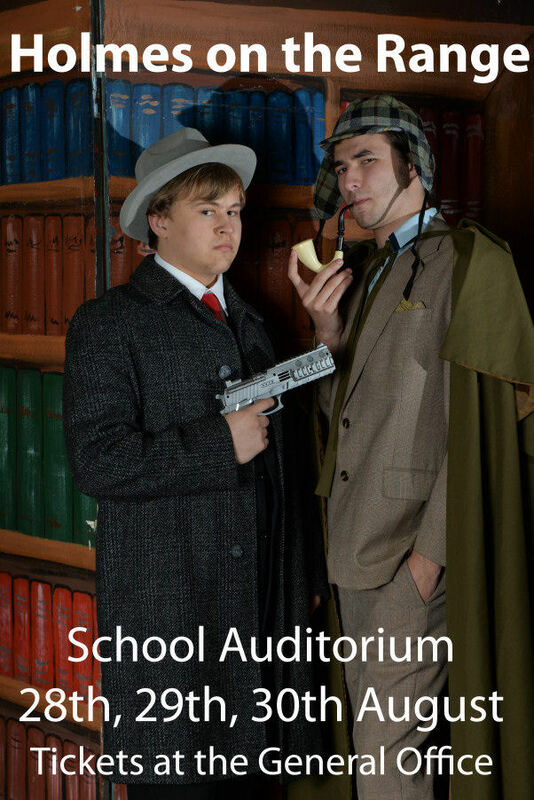 Sherlock Holmes (Stephen Harrisson) and Dr. Watson (Hamish Garnham) are hot on the trail in Oberon High School’s production of Holmes on the Range. Set in the wild Mountains somewhere near the Canadian border at the beguiling Bicuspid Manor, Holmes and Watson are on the case facing a freezer full of fresh bodies and a surprising array of suspects to some dastardly murders. A classic whodunnit with plenty of laughs, the cast range from our Year 7 students right through to Year 12’s. The season opens on 28th August at 7.30 and will run through to Saturday, 30th August each night and will be performed in the Oberon High School Auditorium. Tickets are on sale at the General Office. Phone 52434444 during office hours to purchase your tickets.